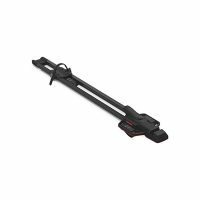 Roof rack bike carriers come in different forms from wheel-on loading to fork-mount loading, and it can be a bit overwhelming to choose. Our 2017 test considered five different roof rack bike carriers that included fork mounts and wheel-on loading. 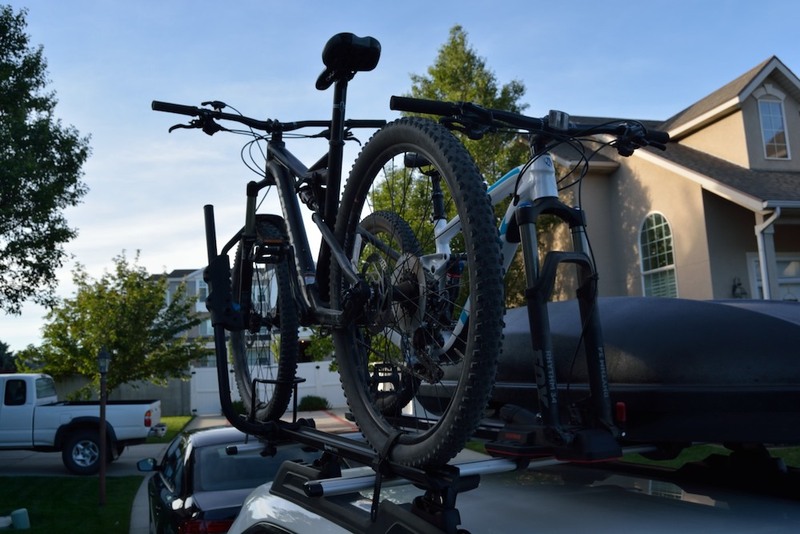 One may seem easier than the other, but until you actually do the bike loading and consider the features of each carrier, you won’t be able to determine which type of roof rack carrier you prefer. Several factors were scrutinized during the testing of the racks that included assembly and installation as well as how easily the bike was to load and unload. 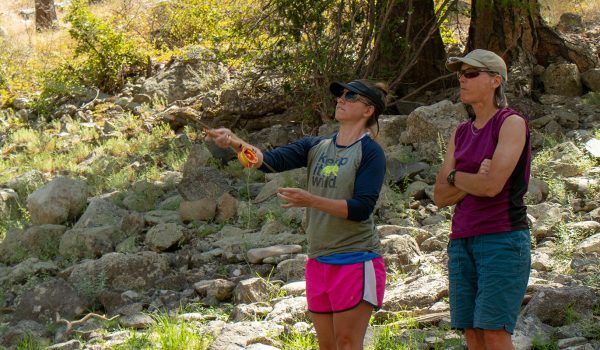 Different types of terrain were driven on that included pavement, rocky trails, uneven terrain and roads with speed bumps in order to test the stability of the bike on the rack. 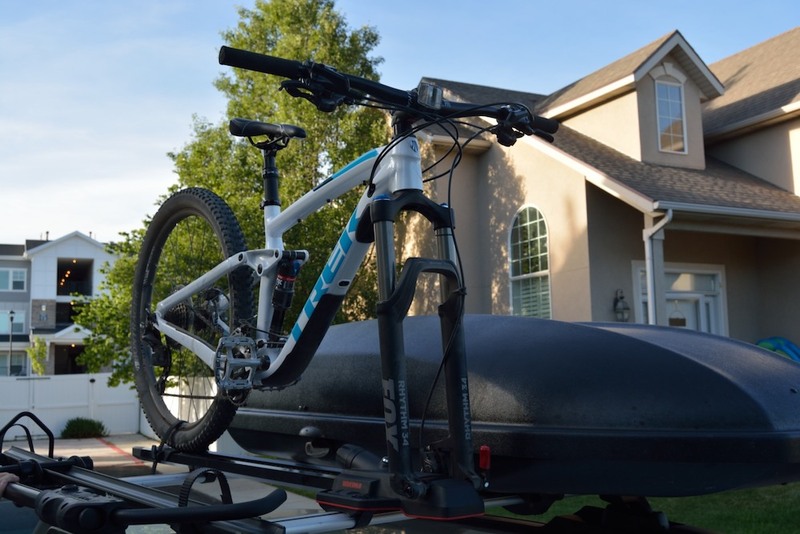 While there were pros and cons on each type of roof rack bike carrier, it really comes down to the type of carrier you may be looking for. Do you want a fork mount that requires you to take a tire off to load it? Do you want a wheel-on carrier that clamps onto the frame or wheel? 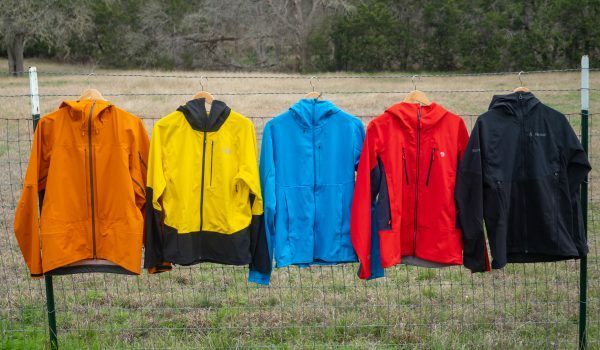 It may take trying a couple of different types of carriers before you figure out the preference of which works best for you. Knowing the different factors of each model and what kind of bike you’ll be loading helps. 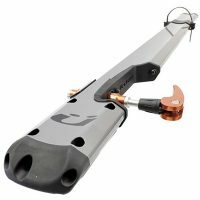 During this test, the thought of a fork mount and having to take off the front tire in order to load the bike wasn’t the most appealing, but it turned out that one of the fork mount bike carriers was the easiest and best to work with. Wheel-on carriers are more convenient when it comes to dismounting the bike and riding right away. Space can be another deal breaker when it comes to fork mount versus wheel-on carrier. If you have a packed car full of gear with nowhere to safely put a tire, the wheel-on carrier is the way to go. View of two different types of rooftop bike carriers. The Yakima HighSpeed was, by far, the most stress-free setup encountered during this test. There was no hassle with parts or tools, and the carrier was fully assembled out of the box. It took no longer than five minutes to install the carrier on the crossbars of the car. The only part that needed to be added was the strap for the back wheel of the bike. The straps that go over the crossbars to install the carrier were solid after tightening the thumbwheel. All other carriers in the test required some assembly or a hex wrench to tighten bolts to the crossbars. Initially the car that the roof rack carriers were set up on had round bars, and the Thule ProRide didn’t take to that configuration all that easily. Many adjustments had to be made for the carrier to be stable on the round bars, and the bolts to tighten the latches were almost maxed out. AeroBlade bars were later installed on the car which made a difference for the ProRide. The RockyMounts TomaHawk took the longest to install mostly because there was some assembly required and quite a few bolts that needed to be tightened with a hex wrench. There was a three-way tie for stability between the Rhino-Rack Hybrid, Thule ProRide and Yakima HighSpeed. The Rhino-Rack Hybrid’s ratchet arm in addition to the wheel chock to keep the front of the bike in place was an excellent pairing. The ratchet arm had good tension in it while raising and lowering which made it feel much more solid when settled on top of the front wheel. 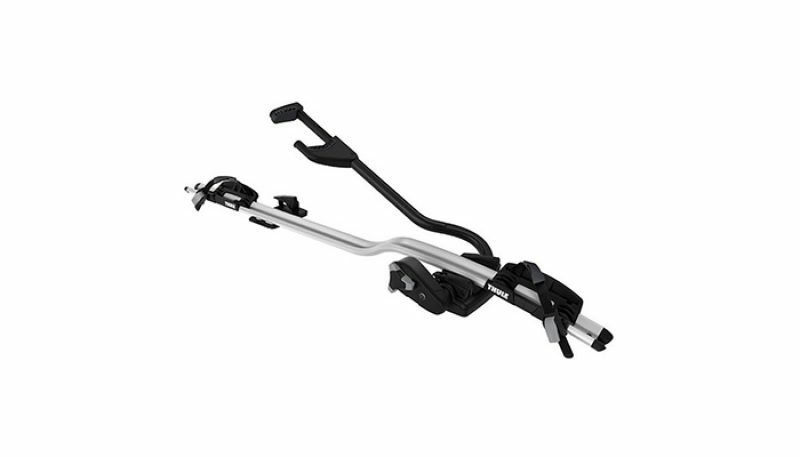 The Thule ProRide with the automatic positioning and wheel risers in the wheel holders, in addition to the cushioned claw to hold the frame, allowed for the bike to sit tightly and securely on the carrier. With the Yakima HighSpeed, the carrier not only feels sturdy and secure on the crossbars, but the bike is very stable once placed in the carrier. The fork mount has a TorqueRight knob that indicates when it’s properly tightened around the skewer or the thru-axle enough. 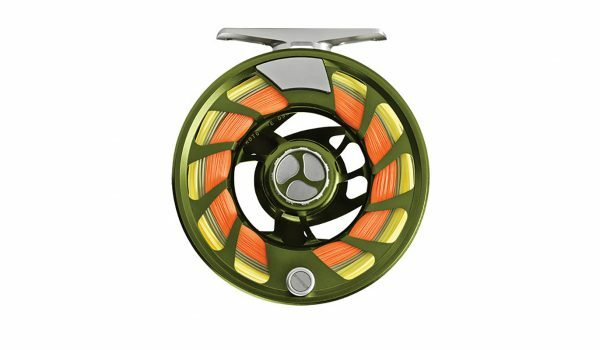 Once again, the Yakima HighSpeed scored highest in this category. The simplicity of this roof rack carrier was just very straightforward. The fast setup, uncomplicated adjustments and audible indicators for tightness on the skewer or thru-axle were key features that set the HighSpeed above the rest. The Küat Trio did have the potential to be easier to use, but loading was a bit awkward and was better with two people. With no lip to catch the fork mount, if a person slipped when loading the bike they could potentially damage the roof of the car. 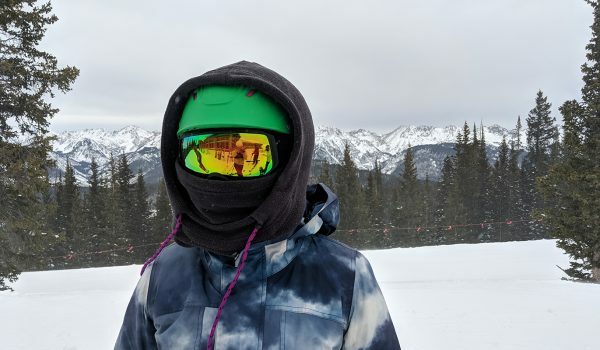 When it came to versatility, the RockyMounts TomaHawk placed first in this category. 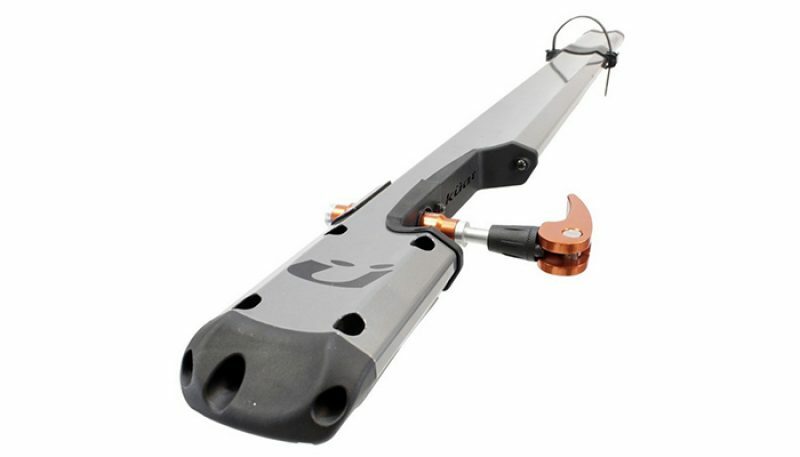 While all the carriers had the ability to hold different sizes of bikes, in order to hold a fat-bike an adapter part had to be purchased separately for all but the TomaHawk. 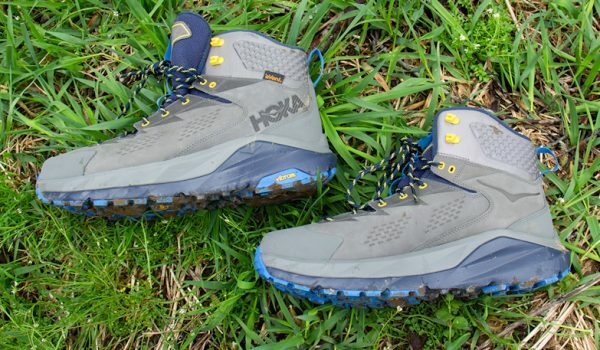 The only thing that needs to be switched out to accommodate a fat-bike is the back tire strap, and the RockMounts carrier comes with a longer strap to accommodate a larger tire. Front of car view of fork mount bike carrier and wheel-on ratchet-arm carrier. While all of the roof rack carriers had some great features, the Rhino-Rack Hybrid is probably the one that stands out the most due to its attention to securing the bike to the car. There are three locking systems for security; rack-to-carrier, bike-to-carrier, and a cable to keep the bike and rack as secure as possible. Bike theft is on the rise, and the more protected a bike is the more it will deter a thief from an attempt at stealing it. There were five different categories that the roof rack bike carriers were rated on during the test: setup, stability, ease of use, versatility and features. 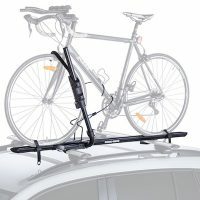 The setup of the roof rack bike carrier included how much assembly, if any, is required, the types of tools needed, and the parts included in the box in order to install the carrier onto the roof of the car. Setup is examined to make a consumer aware of what to expect when taking the carrier out of the box and how easy or difficult installing the carrier might be. 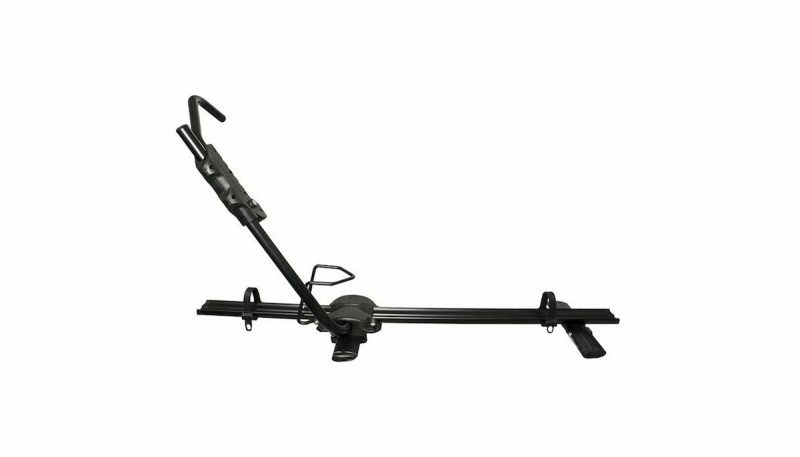 The stability of the bike carrier on the crossbars, as well as stability of the bike while on the carrier, is an important category to consider. 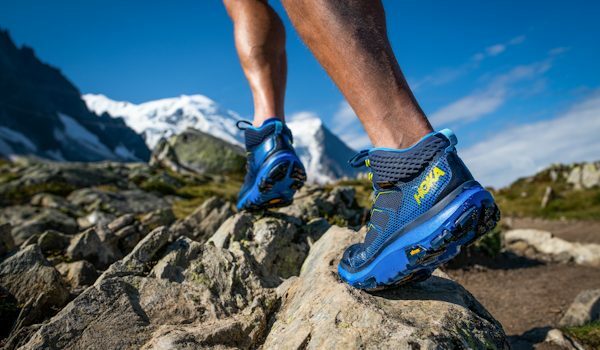 You want to be certain that the carrier is solidly attached to the cross bars and can hold your bike in place through high winds and whatever terrain you drive over. 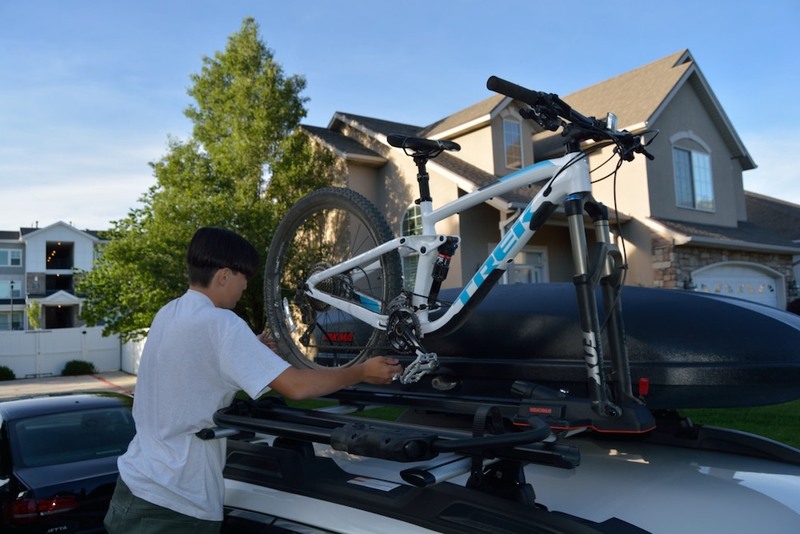 Ease of use is an important factor for many who are in the market for a rooftop bike carrier. Most people want a carrier that is going to be fairly easy for loading and unloading a bike, especially if only one person will be utilizing the carrier. 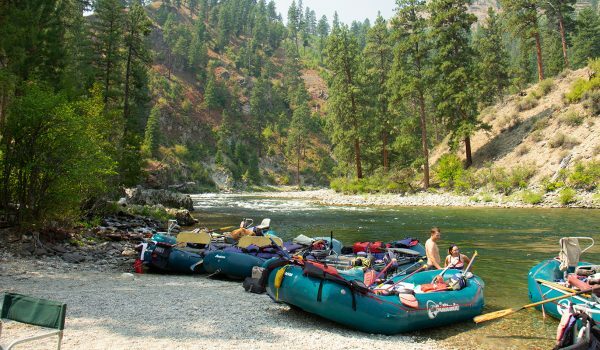 Versatility is considered for the carriers when it comes to whether or not it will accommodate different sized bikes and if an adapter or additional parts are needed to fit a certain type of bike on the carrier. Tires and frames come in different sizes, so consumers should look for a carrier that can accommodate whatever bike they decide to ride. Features such “master key compatibility,” which require only one key for any locks on the carrier system, or which crossbars are required for installation, are looked at so that potential buyers can determine whether or not the carrier meets their individual needs. There were a few different things we look at inside each of these categories. 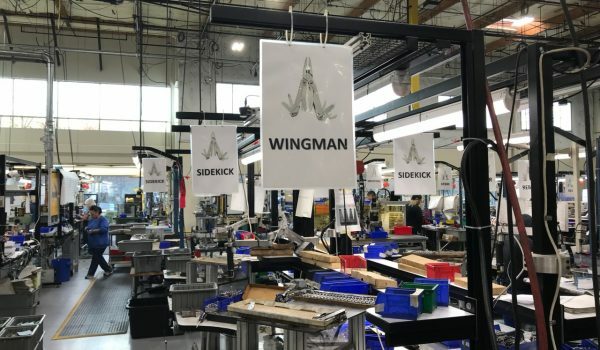 For setup, if there is some assembly required of the carrier, the tools and parts required should hopefully be included with the purchase of the carrier. The latches that attach to the crossbars on the carrier have an effect on the rating especially if a certain type of crossbar has to be on the car in order for the carrier to work. 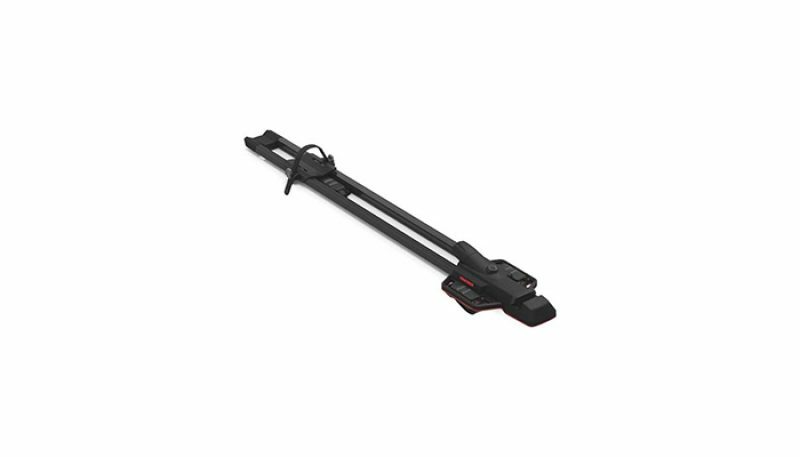 Many carriers are universal when it comes to crossbars, but some might require an AeroBlade bar as opposed to a square or round bar. There were two parts to the criteria of stability; how stable the carrier was on the roof of the car after setup and how stable the bike was after loading it onto the carrier. Once the carrier was installed and secured to the roof, an attempt to move the carrier by grabbing hold of it and shaking it was done to see if there was any give. With the bike loaded onto the carrier, several different types of terrain were driven over including pavement, dirt roads, uneven terrain, rocky trails, and paved roads with speed bumps in order to determine how stable the bike was on the carrier. Factors considered when determining ease of use included whether or not a bike could easily be loaded/unloaded by one person, how effortlessly a ratchet arm could be released from a locked position, and whether or not straps were easily tightened and loosened. For a fork mount carrier we looked at the process of ease for using a skewer or thru-axle connectors. Bike loaded on fork mount bike carrier. Versatility included anything from the bike carrier accommodating 20-29” wheels to fat-bike wheels, how difficult it was to switch out the arm depending on what side of the car you were loading your bike on, and the range for fork mount sizes where applicable. Features looked at for the carriers ranged from the locking system and whether or not you could purchase locks with the same lock code to avoid having several different keys. 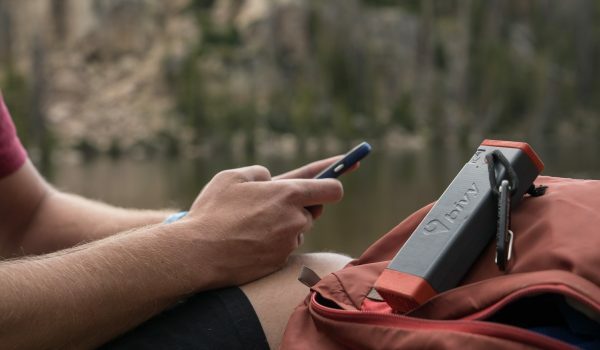 We also looked at whether or not the carrier is fat-bike ready out of the box or if you need to buy an adapter to allow for that size of a bike. If there was a knob to tighten on a ratchet arm or fork mount, an audible indicator that the tension was tight enough on the frame or thru-axle was a vital component as to avoid any type of damage to the bike. 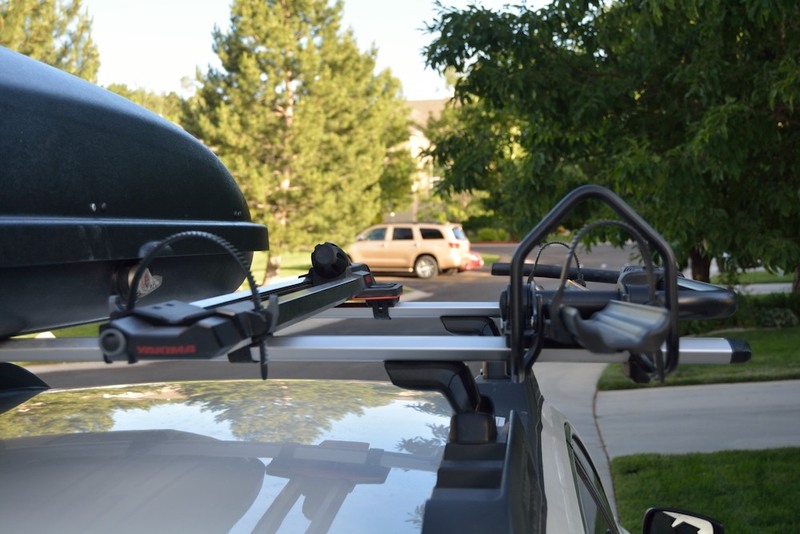 What is a roof rack bike carrier? 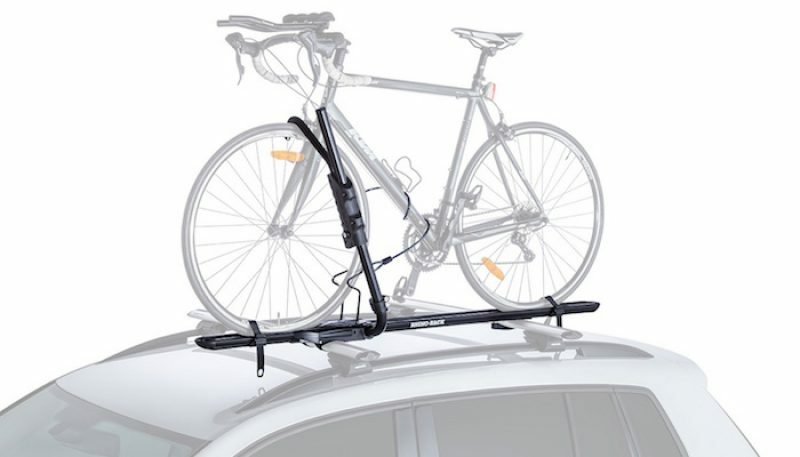 Roof rack bike carriers come in a few different variations. There is a fork mount, a wheel mount and frame mount. 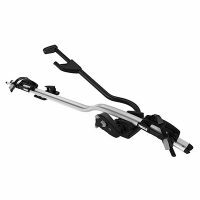 The biggest difference between a fork mount and wheel mount carrier is the fork mount requires removal of the front tire to load, while the wheel mount carries the full bike without removal of a tire. A frame mount carrier doesn’t require the front wheel to be removed, although it may interfere with a water bottle cage on the bike itself and some users have experienced minor frame damage to their bike when the carrier clamps down on the frame. Most carriers are able to accommodate fat tire bikes albeit for some with an adapter. 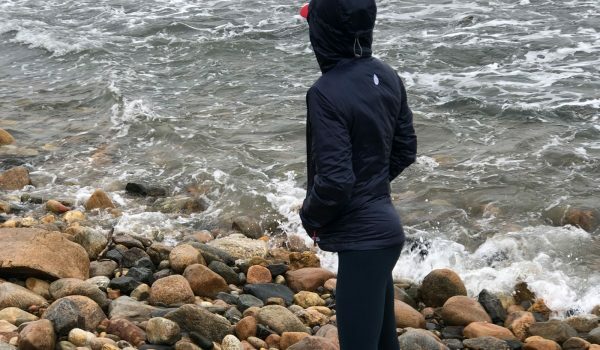 As fat-biking is becoming more of a trend whether it’s during the summer on a beach or in the snow for the winter, roof rack companies are trying to make sure they can accommodate for whatever type of bike a person will be riding. Some carriers don’t need any type of adapter or special handling in order to carry a fat-bike. For some, all it takes is just exchanging one of the tire straps to a longer size. 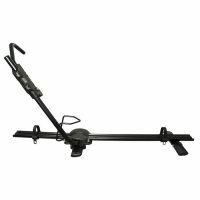 Price ranges for roof rack bike carriers vary depending on the type of carrier and the features included. You can expect to spend anywhere from $50-$200 for a roof rack carrier. The $50 dollar range will put you in the bare minimum carrier that may not be the best in quality or stability when transporting a bike on the roof. It may take quite a few more steps to install the carrier and the components may have questionable quality. 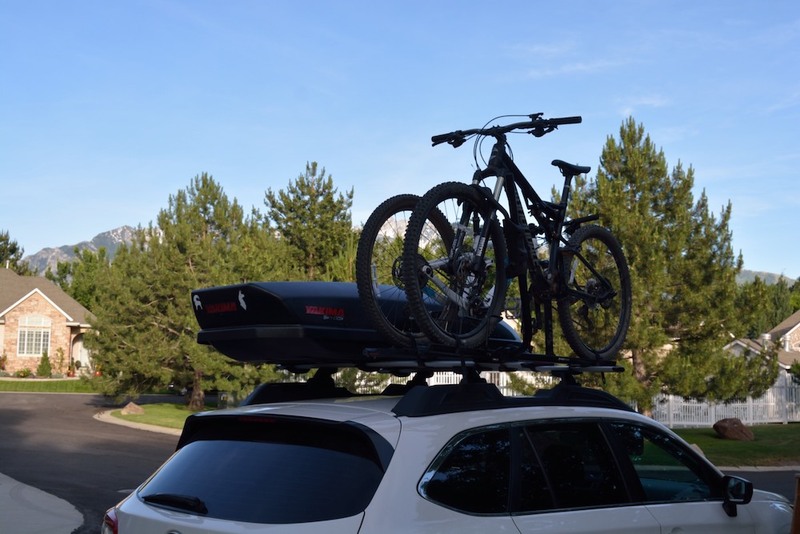 The more high performance roof rack bike carriers will usually start out with a price range around $110+, and you’ll also be buying into better features and materials that make up the carrier. 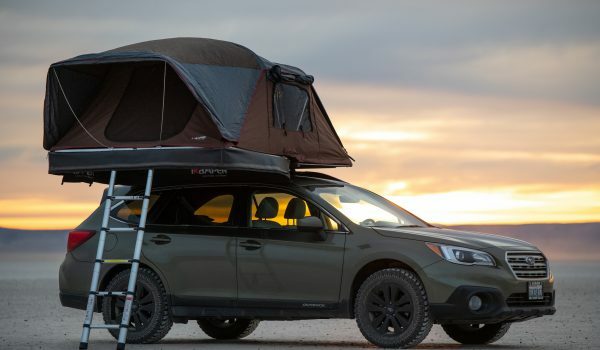 Also take into consideration that if your car doesn’t come with factory installed crossbars, you’re looking at an additional cost of a roof rack system on top of the carriers.